Does college push students to the left? Not really, a new study finds. At IHE. A Catholic view: Radical creationism suffers from “an impoverished theology,” at America. 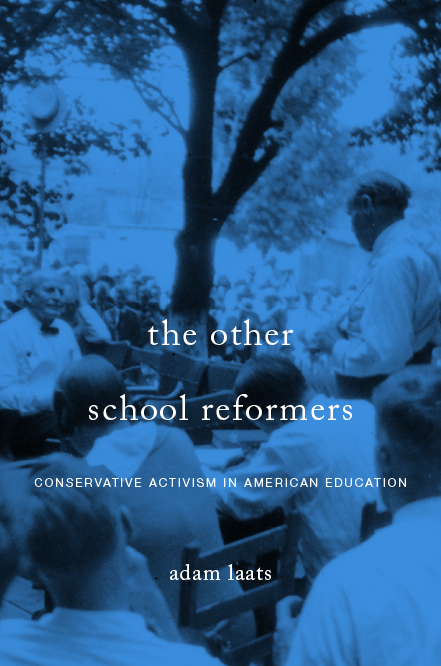 What does a conservative Koch-funded school look like? Now we know, at Wichita Eagle. The lessons for progressive educators? It’s mixed, at ILYBYGTH. Schools don’t teach much about slavery, at WaPo. Why not? It’s not just a question of history, at ILYBYGTH. What goes on in evangelical study centers on college campuses? At RNS. Who’s afraid of institutional life? An interview with an evangelical college president at CT.
New bill would ban South Dakota schools from teaching about gender identity, at MN Star-Tribune. It’s bigger than gender. What’s the real issue? Right here at ILYBYGTH. Florida takes the lead on privatizing public education, at AP. If You Don’t Teach about It, Will It Go Away? Wha is the definition of a radical creationist? Dr. McLeroy, Thanks for asking. That’s a term I’ve been using to describe young-earth believers. Some of my YEC friends have told me they dislike it, since they dislike the term “radical” in general. However, I can’t think of a better term. I don’t like to use “YEC” since I think it is too jargon-y. Spelling out “young-earth creationist” every time is too cumbersome. I don’t want to use a term like “Bible-believing” or “Biblical literalist” or similar, since it implies that other creationists are not. So in my new book manuscript I’ve been using the term “radical creationism” to describe YEC, to differentiate between young-earth beliefs and other sorts of creationism. What do you think? Do you dislike the term? Can you think of a better one? Young-fossil implies no animal death before Adam’s fall. This argues the same time frame but from a theological perspective. If death was present before Adam, why would Jesus have to die? Why would Jesus declare victory over something that he had established in the beginning? It would make no sense. However, this does not solve your problem. I don’t think ” radical” fits in todays culture of violent radicals. Thanks for the explanation and the suggestions. I thought of “rigid” and “strict,” but they seemed to have negative connotations. Also, I think many old-earth creationists would object that they are also rigid and strict when it comes to Bible fidelity. Plus, I didn’t think “radical” had negative connotations, but you’re the second person to say you think it does. I’ll keep looking. Good question re “radical”. I would tend to stick with it since to me it implies extreme and/or not close to the norm. Believing the the earth is young and that there was not death prior Adam and Eve certainly qualifies as radical. There certainly is no evidence for such claims, and many Christian creationists accept an old earth and even evolution as the mechanism of creation. I also do not think that radical implies violent – the early Anabaptists were labeled The Radicals, and they were anything but violent – indeed the violence was committed against them. If radical is not acceptable, I would suggest blinkered.